Since Isabela is a natural isolated paradise, ATMs haven’t made their way there yet and not all places take credit cards so keep enough cash around to avoid trouble. Pro tip: book in advance online the tours and acommodation so you got that covered when you arrive so you can save the cash for eating and daily expenses there. We usually associate the beach with flip flops, but you should remember that Galapagos is an adventure destination, not a resort so sometimes you’ll have to walk trough volcanic landscapes not having the right shoes could make it uncomfortable and keep you from enjoying the view. Its not that cheap to eat out in Galápagos, so if you can pack some snacks and a bottle of water you could save some money. Also, most beaches dont have stores nearby so having a snack in hand could be very useful. This is not mandatory since they usually give you a full snorkel equipement when you book a tour, but having your own will allow you to do snorkel many free spots where you can watch sealions, turtles and many species. Besides, that way you won’t have to use a mask previously used by hundreds of people. Ew! Although we strongly recommend you to take at least one paid tour to do snorkeling or trekking, there are plenty of free spots and activities in Isabela Island that will surely take your breath away! Concha Perla is a great place to swim and snorkel. Its a shallow bay with calm and transparent water, the closest thing to a naturla pool. You may see a greaty variety of fish, sealions, turtles and more. Concha Perla is very close to Puerto Villamill, you can get there through a wonderful mangrove walk, just follow the directions. Perfect walk for an afternoon in Isabela. This is a 5km road where you can visit many charming spots like “El Estero” or “La playa del amor”. You can also do this on a rental bike so you dont get too tired. If you want to watch flamingos on their natural habitat this magical is ideal for sighting this type of bird. In Santa Cruz Island and San Cristobal you will also find a giant tortoises breeding centers, but Isabela’s its the most complete and its free! It is very close to the Poza de las Diablas, you can walk from there. If you are looking for a place to relax, Isabela has several beaches where you can simply lay down and enjoy the white sand and the sea. 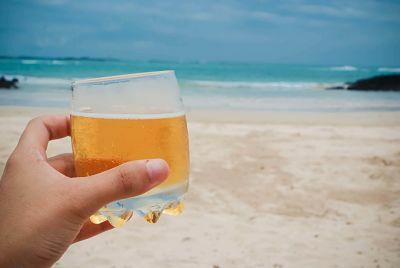 Our personal favorites are Puerto Rico Beach and Jobos Beach. Although there are many free things to do in Isabela Island, we strongly recommend you to take at least one of these day tours so you can get the full Galapagos Experience. All of these tours are mandatory guided by an authorized an certified naturist guide. It is a treking tour all the way up to the volcano’s crater at 1124 meters high. It can also be done on a horse ride. 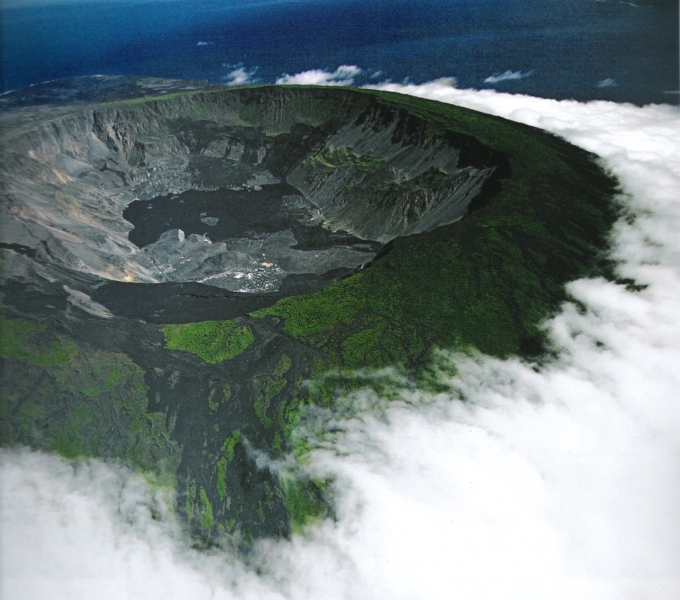 From there you will enjoy this magnificent view of the enormous crater of 60x40km. Some people say the landscapes are so unique that you feel you are walking on Mars! This is the most popular tour in Galapagos for a reason. You can swim under natural lava tunnels while watching Galapagos shark “tintoreras” sea turtles, sealions and rays. Its a 5 hours tour and the price is $120 per person. Its worth every penny. Tintoreras Tour – Swim with sharks in open water! Half day tour to swim with sharks and enjoy out-of-the-world volcanic landscapes. The price for the Tintoreras tour is around $45! If you have any questions about your trip to the Galapagos Islands we’ll be happy to help you clear any doubts or create a personalized itinerary for you.